Our range of products include hastelloy castings. Manufacturer, Supplier, Distributor, Trader and Exporter of Hastelloy Castings in Coimbatore, Tamil Nadu, Karnataka, Andhra Pradesh, Kerala, India, North India. We have gained immense expertise in dispatching a superior range of Hastelloy Castings. This range of hastelloy castings offered by us is available in number of customized specifications in accordance with the diverse requirements of clients. 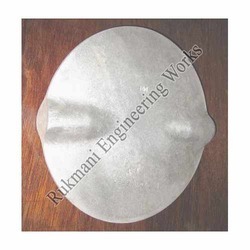 Moreover, the offered range is widely appreciated among the clients, owing to its features such as precision engineering, dimensional accuracy and cost effectiveness. Our range of hastealloy castings is of ASTM standards such as A494 Gr. CY40, CW12MW, CX2MW, hastelloy B, hastelloy C, hastelloy X, udimet 500, thetaloy, GMR-235, alloy 20 castings. Looking for Hastelloy Castings ?